Founded in 1887, Fullerton is located about 22 miles from Los Angeles. Because of its wonderful Mediterranean climate, the area surrounding Fullerton was the original California orange growing region. Fullerton’s downtown is known for its abundant nightlife. 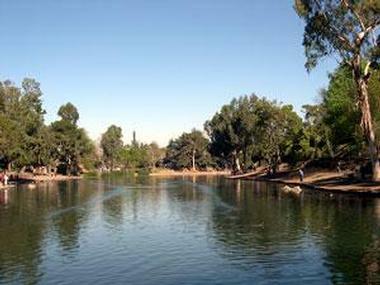 The city also has over 50 parks and the famous Fullerton Arboretum with 26 acres of unusual and rare plants and sculpted gardens. Here are the best things to do in Fullerton, Southern California. 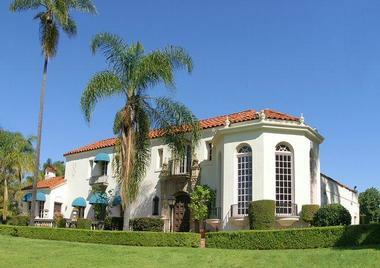 The Muckenthaler Art and Cultural Center, originally named The Muckenthaler House, is a vast Spanish Colonial Revival style mansion in Fullerton that now acts an art and cultural center for the community. Built in 1924 by Walter and Adella Muckenthaler, the 18-room mansion sits on an 8.5-acre estate and hosts an array of arts and culture-based events throughout the year, including more than 60 theatrical and musical performances, festivals, gallery exhibitions, and other special functions. 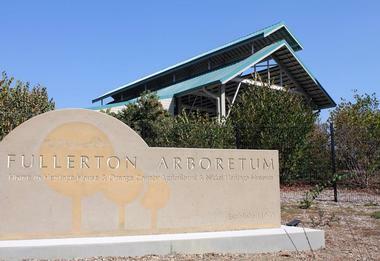 The Fullerton Arboretum is a vast, 26-acre botanical garden and green space that is home to over 4,000 kinds of plants from around the world, a network of walking trails, and a modern agricultural museum. Located on the campus of California State University, the Arboretum is the largest botanical garden in Orange County and focuses on saving species that are at risk or near extinction. A network of pathways wind through the four major collections in the garden, which include Woodlands, Desert, Mediterranean, and Cultivated. Highlights range from a section of native vegetation from Southern California and a rare fruit grove to an outstanding collection of Cycads and a unique Children’s Garden with brightly colored and tactile plants. The Arboretum supports learning within the community and offers a variety of nature-related classes to the public, such as water conservation and bird-watching. More places to visit: Best Things To Do in Long Beach. Clayes Performing Arts Center is a state-of-the-art performance facility with multiple venues based at the California State University in Fullerton. Named after Cal State Fullerton alumnus and donor Joseph A.W. Clayes III, the center features several settings that cater to a variety of disciplines and arts, ranging from the intimate thrust-stage James D. Young Theatre, which was designed to place the actors in the middle of the space; the Vaughncille Joseph Meng Concert Hall, a venue lauded for its outstanding acoustics; and the black box Hallberg Theatre, which boasts flexible seating and presents an array of experimental and new productions. Clayes Performing Arts Center also features three special performance venues, namely the Arena Theatre, the Little Theatre, and the Recital Hall, all of which present and host shows and performances throughout the year. The center is also home to a costume and scene shop, a dance studio, and other ancillary support spaces. Founded in 2002 by Artistic Director Brian Newell, the Maverick Theater is a storefront theater in Fullerton whose first show was an Elvis Presley musical entitled The King. 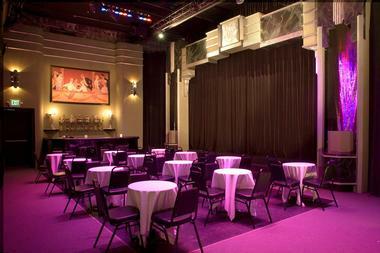 The venue hosts a variety of performances and boasts two stages – a cabaret stage for musicals and a larger black box stage for plays. The Maverick is renowned for its Staged Cinema Productions, in which they stage adaptations of popular and lesser-known films, as well as producing famous hits such as a recent revival of The Rocky Horror Show. Other productions have included A Few Good Men, The Hobbit, One Flew Over the Cuckoo’s Nest, and Shakespeare’s Romeo and Juliet. 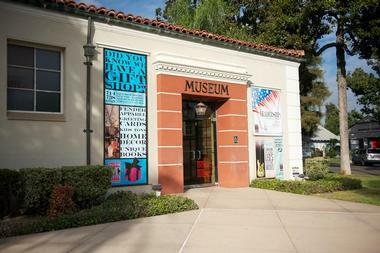 Established as a learning center and educational space to inspire the community to engage in history, science, art, and the humanities, the Fullerton Museum Center presents the best in multi-disciplinary exhibitions and educational programs. Dating back more than a century, the center features diverse exhibits and displays aimed at inspiring, engaging, challenging, and encouraging an interest in the arts and other subjects. The museum also hopes to promote critical thinking and stimulate dialogue. Home of the Leo Fender Gallery, the museum’s two galleries showcase the Leo Fender guitar and its rich history in Fullerton, and it highlights other unique aspects of 20th and 21st-century popular culture. 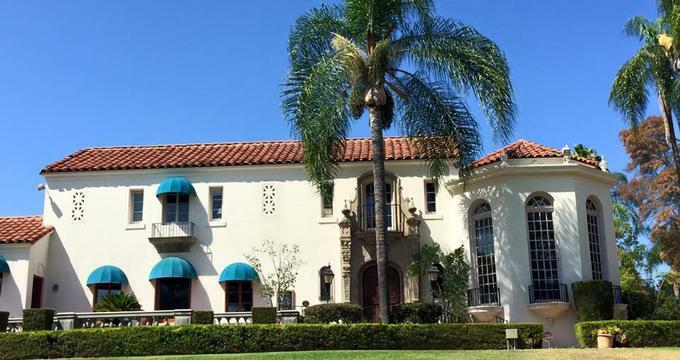 In addition to three or four annual exhibits, the Fullerton Museum Center also offers a variety of educational programs and workshops, including lectures, concerts, and art classes, and provides special children’s programs throughout the year. The museum is open from noon until late in the evening six days a week. Laguna Lake is a beautiful outdoor park that offers nature-lovers and outdoor enthusiasts an open-air haven of tranquility in which to relax. Laguna Lake lies at the center of the park, around which are several dirt trails that are ideal for walking, jogging, running, hiking, cycling, or horseback riding. If you are wondering what to do in Fullerton with kids, this is a great place to visit. Fishermen can take advantage of fishing in the lake, which is home to rainbow trout, catfish, bass, and bluegill, and families can relax at the nice picnic areas situated below the dam – they offer lovely lake views. Laguna Lake Park is also the base for the Equestrian Center and home to the Fullerton Recreation Riders, who use the center’s outstanding facilities, which include riding rings, show rings, and grandstand seating to practice and hosts shows. 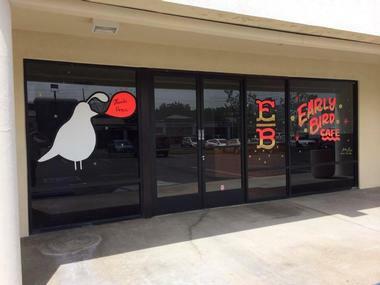 Owned and operated by Orange County locals, Early Bird was founded because of a mutual love of fine food and coffee, and the restaurant still stands by that principle today. Founded by Marcelo Caraveo and Tank Menzies and owned and operated by Adrian Padilla, Early Bird serves cuisine created from locally sourced Californian ingredients supplied by certified sustainable family farms. All cuisine is handmade from scratch, from the light and fluffy eggs benedict and country chicken waffles to sandwiches, salads, griddlecakes, and sides. Tuck in to Carnitas Chilaquiles with Avocado Emulsion and Fried Tortillas in Ancho Chile Sauce, Roasted Nebraskan Rib-Eye Steak with Two Eggs Sunny Side Up, or a delicious Duck Confit Hash for breakfast, brunch, or lunch. 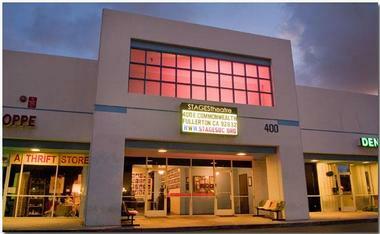 STAGEStheatre is a performing arts-based entity that was established to provide actors, artists, directors, designers, and writers with a creative environment where they could showcase their talent. Endeavoring to merge outstanding literary work with high production values, STAGEStheatre presents all forms of theatrical literature, from the classics to world premieres, across a range of different “stages” of the artistic process. STAGEStheatre also works towards promoting and inspiring an interest and a love of the performing arts in local schools and communities and provides unique educational opportunities and internships for student artists and technicians. Matador Cantina is an authentic Mexican restaurant that serves a fusion of traditional and contemporary Mexican-inspired cuisine. Expertly prepared by Executive Chef David Dennis, the menu features a variety of classic and new age dishes made from fresh, high-quality ingredients, including Jalapeño Bacon Wrapped Scallops, Shrimp Ceviche, Paella, Grilled Mahi-Mahi, Carnitas, Burgers, and Enchiladas. The drinks list at Matador Cantina boasts a significant tequila collection from various regions of Mexico, ranging from the potent Mescal to the clean, clear Blanco, as well as a range of handcrafted tequila-based cocktails, beers, and wines from around the world. 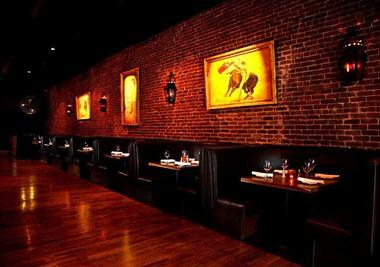 Matador Cantina is open for lunch, dinner, and weekend brunch and offers an array of specials throughout the week. 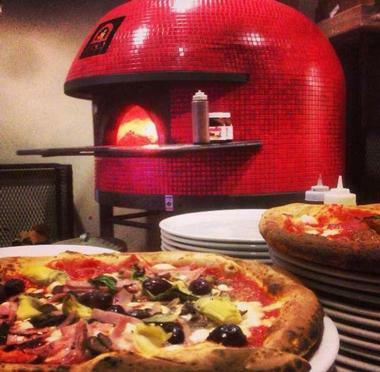 Fuoco Pizza is an authentic Napoletana pizza restaurant that brings a taste of Italy to the streets of Fullerton. Owned and managed by three generations of Italians, Fuoco (meaning ‘fire’ in Italian) uses a traditional wood-fired oven to create the perfect pizza. Designed and built by master artisan Stefano Ferrara in Naples, the oven burns at nearly 1000 degrees, crisping pizza bases made of soft Napoletana dough and covered in delicious toppings to perfection. Bourbon Street Bar & Grill is a legendary Fullerton restaurant offering a fusion of freshly prepared local ingredients combined with a Southern Inspired style. 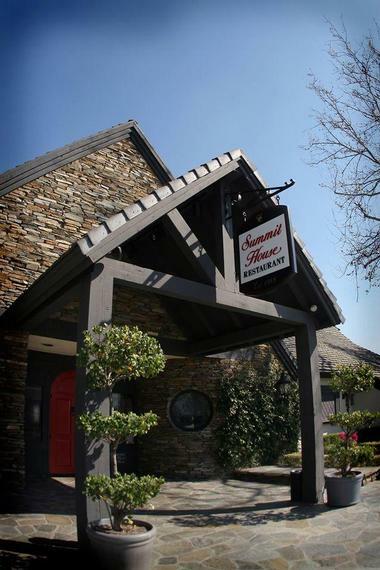 Situated in a historic building on Commonwealth Avenue in downtown Fullerton, the eatery encapsulates the rich history and age-old traditions of Fullerton and New Orleans in its menu of epic Southern Inspired cuisine. This evocative heritage can be sampled in signature dishes such as the Cayenne Pepper Buffalo Wings, Southern sliders of pulled pork and smoked brisket, Fried Shrimp Po’Boy, Chicken, Classic Chicken Gumbo served with dirty rice, and Shrimp Jambalaya. Wash it down with a variety of beverages from the bar, ranging from ice cold beers, handcrafted cocktails, spirits, and wines from around the world and kick back and relax with live entertainment, music, or karaoke. 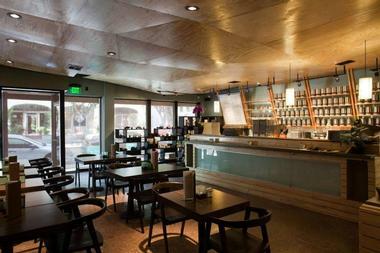 Tucked away in the heart of Downtown Fullerton, Tranquil Tea Lounge is a contemporary urban tea lounge and restaurant that specializes in teas from around the world. Tea snobs will delight in the 95 varieties of specialty and organic loose leaf teas on the menu, ranging from the regular black, green, oolong, and white to unusual varietals of Pu-Erh, Rooibos, maté, and tisane. Pair your tea with a snack from the menu, which offers sandwiches, salads, and appetizers such as spinach, feta and tomato quiche, fresh ceviche, and a soup of the day. Set in an elegant dining space overlooking beautiful gardens, The Summit House Restaurant is a luxurious award-winning eatery headed by General Manager Mark Elliot, who presents a unique menu of superb modern American cuisine. Diners are taken on a culinary journey through a range of both traditional and modern dishes that focus on fresh, seasonal ingredients, tastes, and flavors, many of which come from local farms and producers. Expect starters of Escargots Bourguignon served in a rich Pernod brandy butter, Chesapeake Style Crab Cakes with dill horseradish aioli, and Prince Edward Island Mussels steamed in white wine and garlic leek cream and topped with apple wood smoked bacon. Mains include signature plates of oak wood grilled Skuna Bay Salmon served over sautéed Tatsoi spinach in a cabernet sauvignon infusion. They also boast Chilean Sea Bass Oven baked with a sweet chili glaze and cilantro jasmine rice and Prime Filet Mignon served with Gruyere au gratin potatoes in a port wine reduction. The outstanding cuisine is complemented by an exemplary wine list presented by expert sommeliers. 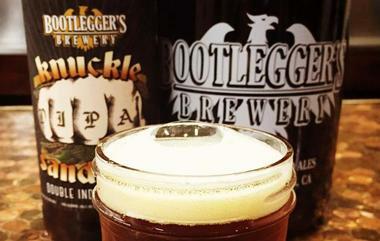 Founded in 2008 by home brewer and beer lover Aaron Barkenhagen, Bootlegger’s Brewery is one of the largest artisan breweries in Orange County. 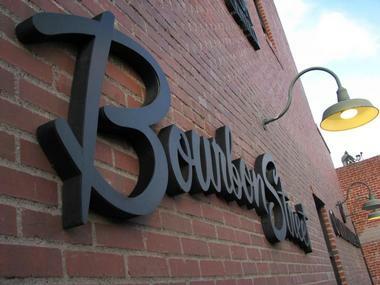 The working factory produces unique small batch beers and craft brews that range from year-round and single releases to seasonal and limited releases. You may also like: Best Things To Do in Santa Rosa.